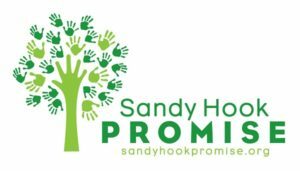 Sandy Hook Promise announced The Walt Disney Company as a new supporter of its Start With Hello program for elementary schools, which promotes inclusion and prevents social isolation. Through this collaboration, Sandy Hook Promise will be able to significantly expand the reach of this celebrated program. The Walt Disney Company will be directly contributing to the development of a new Start With Hello curriculum and digital platform for grades K-5. Implementation of training will now be provided to 2.8 million youth and adults from 6,000 schools and youth organizations in the first three years. “We are thrilled to be working with The Walt Disney Company to bring our Start With Helloprograms to the youngest students across the country. We’ve had tremendous demand for Start With Hello training for elementary schools, and because of this donation, we are able to bring this new training to life. Elementary schools are the perfect setting for this training, which focuses on inclusion and looking out for one another. We believe that the earlier we can tackle social isolation and create connectivity among students, the more we will empower students to be upstanders in the future,” said Nicole Hockley, Co-Founder and Managing Director of Sandy Hook Promise and mother of Dylan Hockley, who was killed in the Sandy Hook Elementary shooting. Disney’s commitment to making lasting, positive change in communities and promoting the happiness and well-being of children and their families reflects the same values and mission that Sandy Hook Promise promotes in the Start With Hello program. Both organizations are also focused on youth leadership, development, and empowerment and creating inclusive school communities. Start With Hello is a results-proven and easy-to-implement program that empowers students to create an inclusive and connected community by reaching out to those who may be chronically isolated, marginalized, or rejected to let them know that they are seen and valued. The program is available to schools at no-cost. Social isolation is the overwhelming feeling of being left out, lonely, or treated like you are invisible. It is a growing epidemic in the United States and within our schools. Excessive feelings of isolation can be associated with violent and suicidal behavior. Young people who are isolated can become victims of bullying, violence, and/or depression. As a result, many pull away from society, struggle with learning and social development, and may choose to hurt themselves or others. SHP created the Start With Hello program as part of its mission to prevent gun violence and other forms of violence and victimization BEFORE they happen.